The term bunion describes a bump of bone at the great toe joint that is the result of a poorly-aligned metatarsal bone and great toe. Poor alignment results in a prominence of bone at the great toe joint that can be painful and difficult to fit into shoes. Bunions are usually found bilaterally but can be found unilaterally. Bunions are more common in women than men and increase in prevalence with age. A bunion is a bump of bone that becomes prominent at the great toe joint. Bunions also are called HAV, hallux valgus or hallux abducto valgus. A bunion is actually normal anatomy that has become poorly aligned. Bunions are more common as we age but are not uncommon in teenagers and young adults. Not all bunions are painful. We can say with certainty that bunions are inherited. More specifically, we don't inherit a bunion per se, but we inherit a set of bones, joints, and ligaments that are similar to our parents' and grandparents'. The same biomechanical events that led to bunions for our parents are recreated with each step that we take. Shoes may be an aggravating factor in the onset of a bunion but are not considered to be a primary contributing cause of bunions. 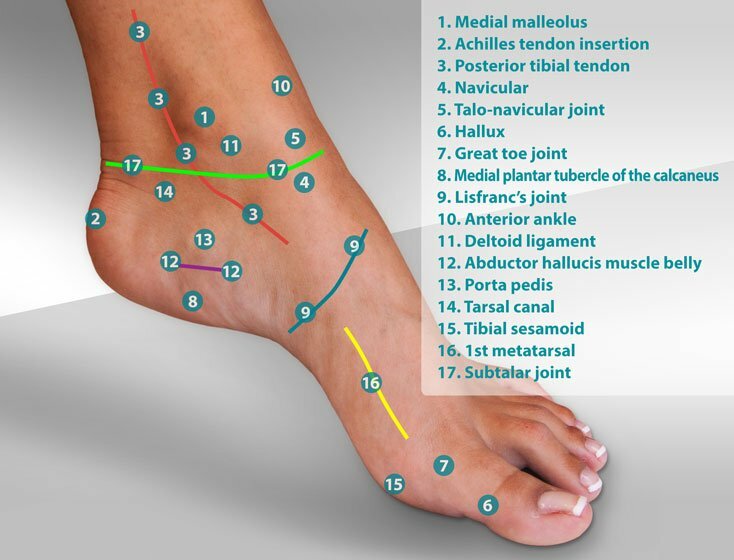 Two biomechanical factors have been identified in bunion formation. Those two factors are equinus and forefoot valgus. Equinus refers to a tightness of the calf and Achilles tendon that limits range of motion at the ankle. Forefoot valgus is a term podiatrists use to describe the position of the forefoot bones in relationship to the heel. Valgus means the first metatarsal is lower than the fifth metatarsal (image at right.) With every step, these two biomechanical forces exert force on the first metatarsal bone, contributing to a bunion. Over time, what we see is the progressive drift of the first metatarsal medially or away from the foot, resulting in a gap between the first and second metatarsals. The prominence we know as a bunion is actually the head of the first metatarsal as it drifts medially. 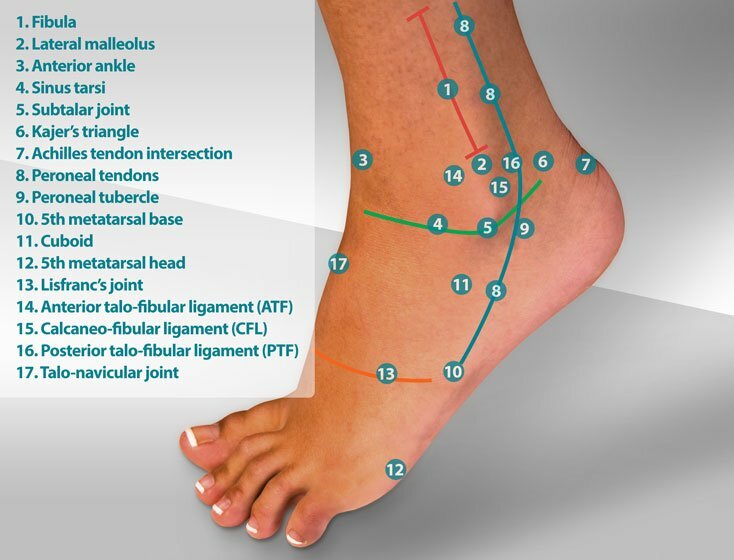 Equinus and forefoot valgus place the first metatarsal in a position where it must increase its normal range of motion. The increased range of motion and load applied to the first metatarsal results in a tendency for early formation of a bunion. Why does a bunion hurt? Bunions increase the forefoot's width. As the forefoot grows wider it becomes increasingly difficult to fit into shoes. Bunions also change the position of the joint and force the great toe joint to function in a manner that promotes arthritis. As arthritis in the great toe joint becomes more pronounced, the great toe will ache both with and without shoes. Bunions aren't a product of old age but are instead a combination of genetic factors that lead to mal-alignment of the first metatarsal. Some biomechanical characteristics contribute to early development of bunions in children. These characteristics are somewhat technical, but your doctor should consider them before prescribing surgery. Surgery for pediatric bunions tends to be somewhat more aggressive because the child has a lifetime during which the bunion may recur. Conservative care for bunions begins with the use of a wider, softer shoe. A number of bunion splints and bunion pads are available to treat bunions. Some pads are used to relieve direct pressure by shoes while others are used to realign the great toe. The success of the use of a bunion pad varies by age, occupation, and activities. Clogs also are a good conservative tool used to treat bunions. Clogs offer a wide toe box that can accommodate bunions and hammer toes. Bunion surgery has a long and colorful history. There are more than 150 different combinations of procedures that are named after the doctors who popularized their use. Most contemporary doctors use just a handful of these procedures. 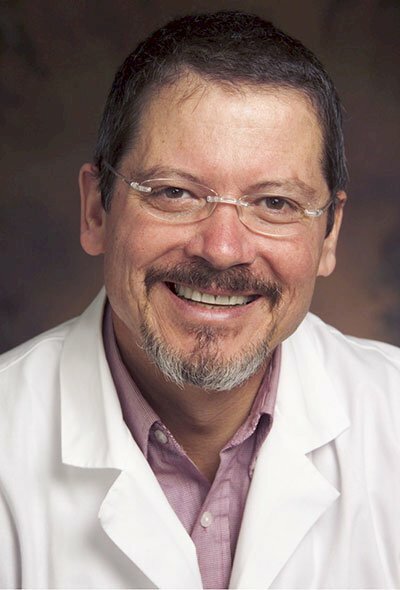 Surgeons use X-rays as blueprints to evaluate surgical choices. Other pre-operative considerations include the patient's age, occupation, and overall health. 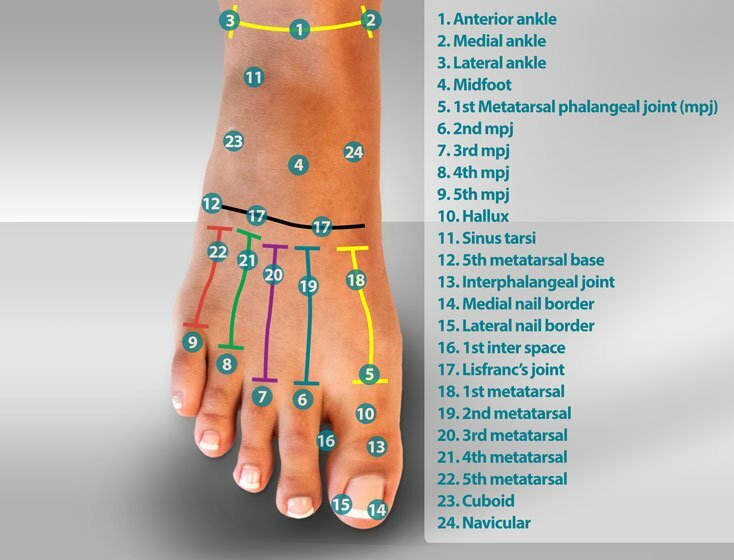 The vast majority of bunion procedures involve three steps. The first step is dissection of the bunion and resection of the bump. Second is correction of the intermetatarsal angle. The intermetatarsal angle is corrected by making a break in the metatarsal and re-aligning the bone. The bone is fixated with a pin or screw. The last step corrects the alignment of the great toe. Bunion procedures can be completed in 30-45 minutes. Most bunion procedures are performed on an out-patient basis under local anesthesia with IV sedation at a surgery center or hospital. 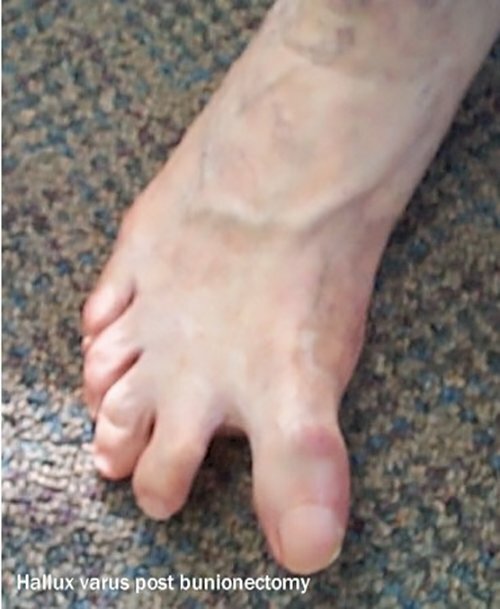 The long-term success of a bunionectomy is good to excellent. Recovery from foot surgery is unique in the respect that you'll need to be walking on the foot that underwent surgery, bearing weight on the surgical site. Obviously, that may present with some challenges. First, if the post-operative foot spends any time beneath the level of the heart it will tend to swell. When the foot swells it is going to hurt, particularly during the first few days after surgery. Patients who plan ahead and spend time with the foot elevated use very little pain medication. Ice is a must. Ice will help reduce swelling, thereby controlling pain without narcotics. Recovery time varies with the choice of procedure, the patient's occupation, and general health status. Most patients can bear weight immediately after surgery for short periods of time. Patients will be limited when it comes to walking and will return to about 50 percent of their normal activities three weeks after surgery. Most patients will return to regular shoes at about six weeks. Many doctors recommend that a removable walking cast be used for 4-6 weeks post-op to protect the surgical site during healing. Additional post-op care may include a forefoot compression sleeve to control swelling or a bunion regulator to wear while sleeping. Other important considerations are family, friends, bosses, and coworkers. Patients need to establish a few designated support people. Widows, widowers, and single parents are special cases and need to be sure they have enough support at home for meals and laundry. Bosses and coworkers want to know when will you return to work. When you do, will you be limited in any way? If so, for how long? It's pretty easy to see there's more to a successful outcome than just the technical component of a bunionectomy. Can a bunion return after surgery? As a rule of thumb, some doctors estimate the chance of recurrence at 60 percent minus your age. So, for a 50-year-old patient, the chance of recurrence would be about 10 percent. Therefore, a bunion corrected in adolescence does stand a significant chance of recurrence by retirement age. Complications from bunion surgery can occur but are uncommon. With any surgery, you need to consider the possibility of infection, delay in healing or scar formation. These are problems that can occur with any surgery and even to the best of surgeons using the latest techniques. 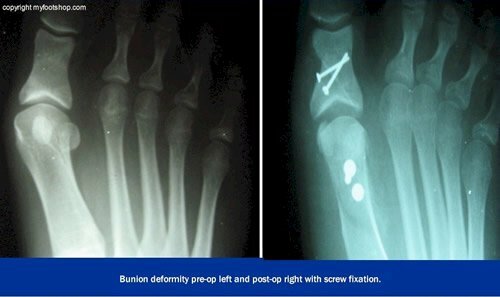 One complication specific to bunion surgery is overcorrection, resulting in hallux varus. Hallux varus is uncommon and usually is associated with removal of the fibular sesamoid in what is called a Modified McBride procedure. Consult your podiatrist for more information on how to treat symptomatic bunions. References for this topic are pending. Bunion by Myfootshop.com is licensed under a Creative Commons Attribution-NonCommercial 3.0 Unported License. http://www.youtube.com/embed/Dt_4R7QWGxQ?rel=0 T10M3S Austin Bunionectomy with Screw Fixation This video documents the surgical procedure known as Austin Bunionectomy with Screw Fixation as performed by Dr. Jeffrey A. Oster.